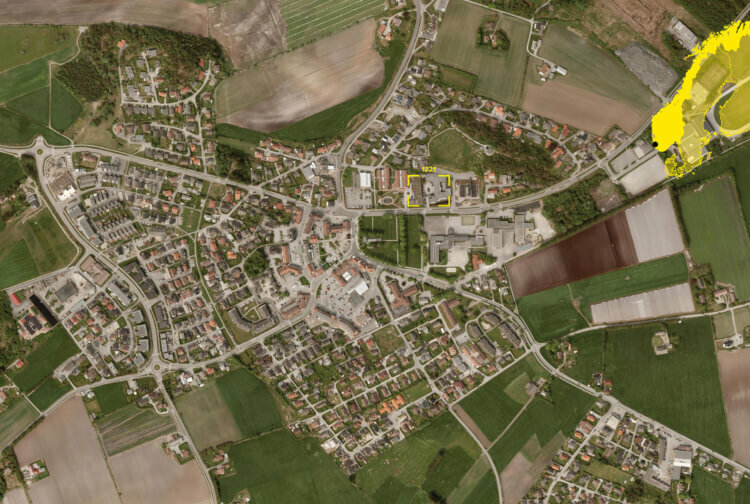 NORD Architects from Copenhagen and 3RW Architects from Bergen won the competition for the design of a new healthcare center in Randaberg, Norway which is designed to be like a modern hamlet. The New Vardheim Helth Center in Randaberg is inspired by the old type of Norwegian hamlets called a “grend”, where a small cluster of houses create a micro community. The center will accumulate the various healthcare programs and, with its green courtyards, create a green walking path between the town and the facing mountain. With the existing buildings on the site, the center will constitute a unique architectural interaction and an innovative concept for contemporary institutional buildings.